slim watches by SLIM MADE - Extra thin watches for a slim lifestyle! Based on the slim made concept we created a super thin watch that is your ideal companion to make your journey through time truly slim. But what actually makes a watch slim made!? By optimizing every component and production process we were able to manufacture the case to be only 7 mm thin, so the slim timepiece will perfectly wrap around your wrist. For sure you won’t get stuck anywhere! Even though our slim watches are made of durable stainless steel, they only weight 38 grams so you will hardly feel them when you wear them. That’s exactly how a good product should be! We think to feel light you need an ultra light wristwatch. The shapes just flow! The edges are perfectly smoothened and we are even using slightly domed glass. 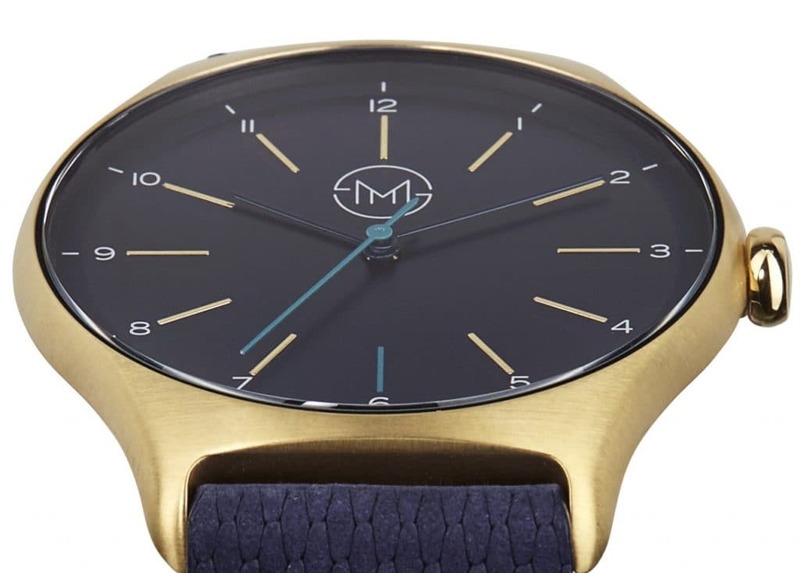 It gives this slim watch an amazing touch and of course it’s great to look at, too. What a clean, but distinctive look! 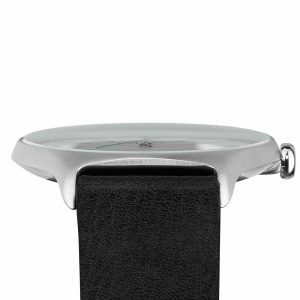 We applied a nicely reduced design to this thin watch that only focuses on the essential and gave it some nicely little twists – like the colored second hand, 6 o’clock index or the back of the leather straps. 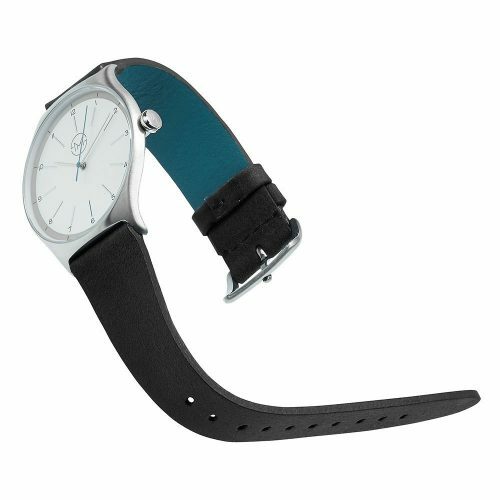 To develop the ideal slim watch for you guys, we added some of the finest and softest leather straps to it. 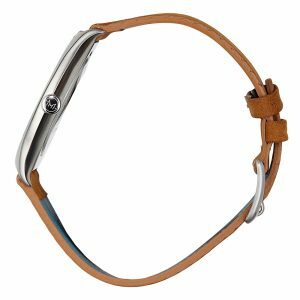 As if that’s not enough we custom made a fantastically rounded buckle to create a timepiece that you will never want to take off again. 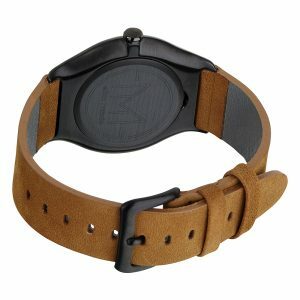 Simply the most comfortable watch ever! Here are the exact dimensions of the thin watch case, so you get a good impression of the real life product. 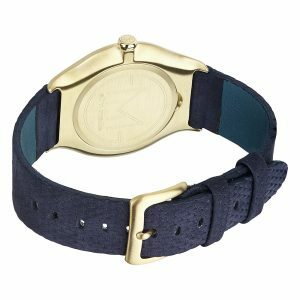 With 40 mm width the watch is perfectly suited for average men’s wrists and women who like slightly larger slim watches. But the case is shaped so ergonomically, that is sits well on basically every kind of wrist. 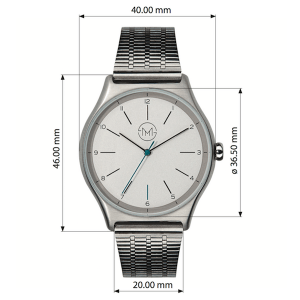 With the standard band our thin watches fits on wrist from 140 to 205 mm circumference. 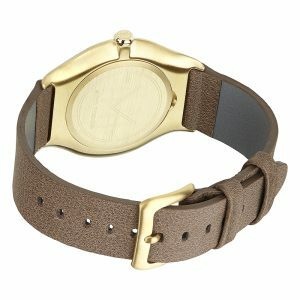 In case you have a larger or smaller wrist (or if you like to pimp your slim watch) you can order a strap from a 3rd party specialist. We are using a standard width of 20mm so there is plenty of good offers out there and you can be sure they perfectly fit to your flat watch. Smart, isn’t it?! The case is made of high quality surgical 316L Stainless Steel and hardened mineral glass. It makes our slim watches water resistant up to 50 metres. We don’t want to talk bad about other brands, but there are almost no other slim watches that offer this! This was important to us, so you don’t need to take your watch off when you decide to go for a swim spontaneously. The stainless steel of the case is brushed. It gives this beauty a really matt finishing and makes it look super subtle. Only the crown is polished to give it a little spark and well balanced contrast. 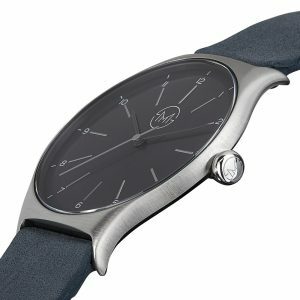 The matt surface even further increases the impression of a very flat watch. The slim made product team is located in Neuchâtel / Switzerland. It’s quite safe to say that it’s one of the hot spots when it comes to great watch making – many of the best experts work there and leading companies are based in the area. When we do stuff, we do it right. And we want to make sure that the best people available are working on our slim watches. That’s why all the design work, all the prototyping and engineering has been done by specialists in Switzerland. This way we can ensure that your slim watch has the best possible quality and will last for along time. For the black and gold versions we are using PVD (“Physical Vapour Deposition“) plating. It makes the color extremely durable and is merged with the steel on an atomic level. As we are very conscious about aesthetics of our slim watches we even plated the case back in the same color as the case (sorry for doing it again, but most other brands just use a silver one) – a detail you don’t see all the time, but will for sure appreciate.We just want to make sure your slim watch looks perfect from every angle! The case back only shows the beautiful slim made logo. We spared you all the other technical stuff you know anyways or you can read here on the website. 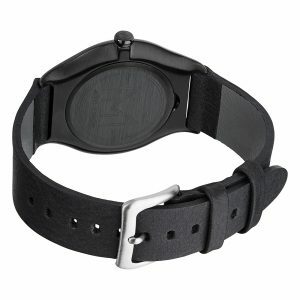 The there is no point in putting the on watch which will only distract and make your thin watch look less clean. And just how beautiful is the dial! Super tidy designed, it only shows the essentials in order not to distract and keep it simple: The numbers from 1 to 12, the nicely raised hour indexes and of course the distinct slim made logo in the center. Every model has its second hand in a special color because we love the second hand! The continuously ticking hand makes the watch look dynamic and it shows that things are moving. Just like in your life! It represents the fact that time is made of moments and it should remind you to take every moment as a fresh start and live it unconditionally. The past and future does not really matter – only the now counts. As for all the other elements we did not want to compromise just a tiny bit at the heart of this thin timepiece – the movement. 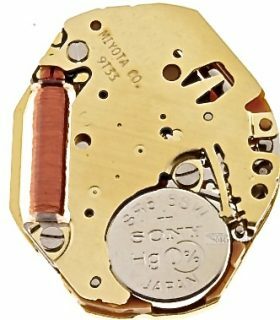 Therefore we use the slimmest and finest clockwork you can find out there: the MIYOTA 9T33. BAM! It’s entirely manufactured in Japan – and if you know the Japanese you know: They like to do things right! But that’s not enough. Unlike most brands in the mid-price range (sorry to mention that again) our movement is made entirely of metal – no plastic parts. So it gives you the maximum reliability and precision. We want you to be sure to enjoy your slim made watch for a long, long time. Another nice little detail: When the battery runs low, the movement gives you a warning signal by the hand skipping every two seconds. So you know you need to take your thin watch to the watch shop around the corner and get the battery exchanged. It’s cheap to do and only takes a few minutes. To complete the overall slim made experience we went out of our way to develop the ideal packaging for a thin watch. It is made of highly compressed pulp, the beautifully rounded edges give it the great grip. To close the box we use an elastic band which can be used as a wrist or hair band if you like.